Spring has sprung here in Charlotte, NC! The growth of many wonderful edible “weeds” are popping up all over our farm and I would guess your backyard! What’s exciting is that you can supplement your salad bowl and gain some health benefits as well. 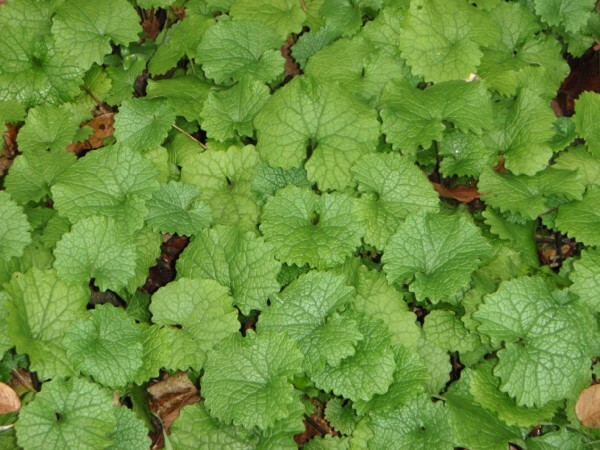 First plant up is Garlic Mustard. This tasty plant is in the brassica family (your mustard, kale, cabbage, broccoli, brussel sprouts etc) It has a garlic-like flavor and has more vitamin C than orange juice and more vitamin A than Spinach. I would consider this a super edible “weed”. The energetics of this herb is that it is warming and energizing to the body. The medicinal qualities of the herb are used to clear phlegm from the lungs (expectorant), promote sweating (diaphoretic), antipyretic (breaks fevers), can be used externally as an antispetic especially on gangrenous skin. Boiling the leaves creates a yellow dye. How else can this herb be incorporated into the diet? Make pesto out of the leaves. You can use just the garlic mustard or blend it with basil, garlic, pine nuts or walnuts, with a pinch of sea salt, pepper, and olive oil in a food processor to make a tasty healthy pesto spread. You can take this very pesto and make it a filling for homemade ravioli. Add fresh leaves to apple cider vinegar to pull out the minerals of this herb and use this with oil to create a nutritive salad dressing. Wonderful antioxidant properties just from consuming this wonderful herb.